I believe the three piece stamping kit and the two polishes are all from Konad. The plate itself has the Konad logo etched on its backside and since Konad and Hello Kitty has partnered before, the squishy rubber stamper and metal scraper are most likely from Konad as well. Even though the polish bottles are printed with Hello Kitty Logos, its brush handle has the Konad butterfly design on it's tip so they are definitely from Konad as well. Both the white and the red are super pigmented and fast-drying. The red is definitely a one coater and the white is quite rich as well, perfect for stamping. The stamping plate features seven small images: an apple, a teddy bear, a bow, a tulip, a hello kitty face, another bow, and a hello kitty. I wish the kit comes with an additional plate that has some full-size stamping images. 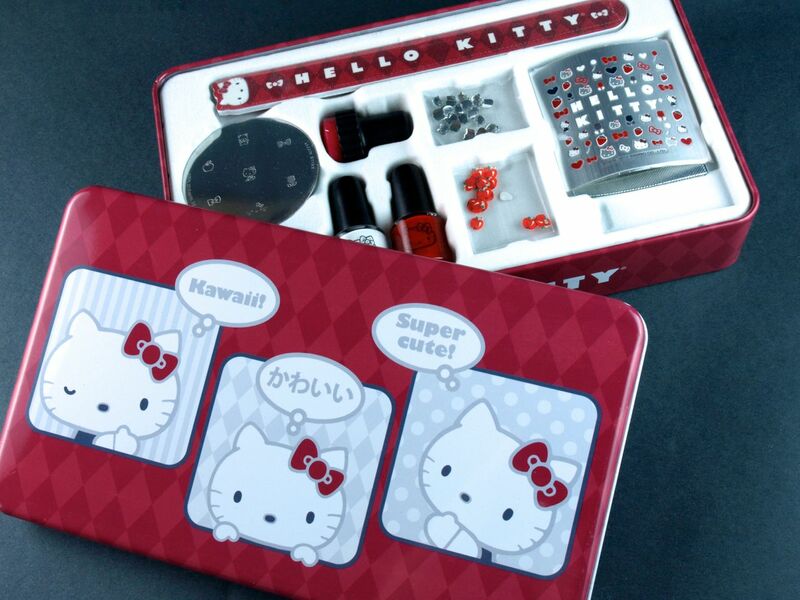 The additional nail art elements in this kit includes 20 shiny silver Hello Kitty faces with raised details. 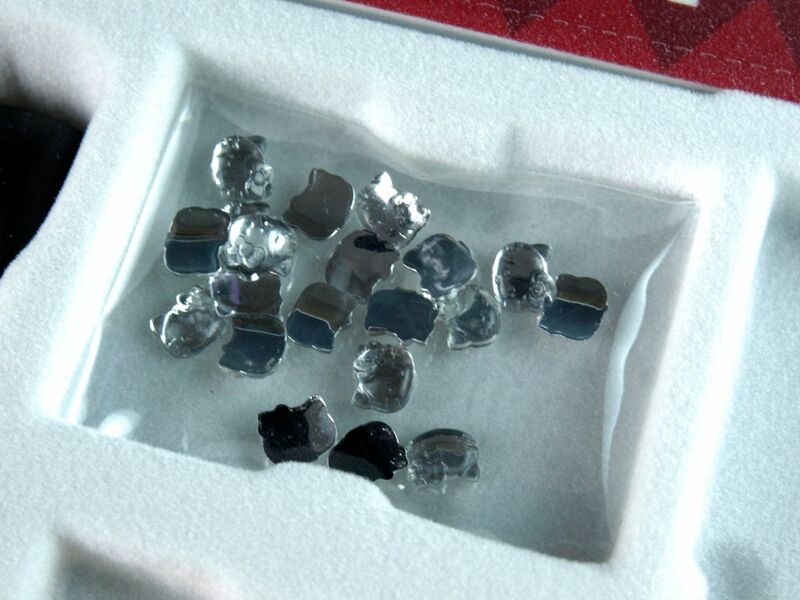 The sizes are quite nice and small so they would fit all nail sizes. 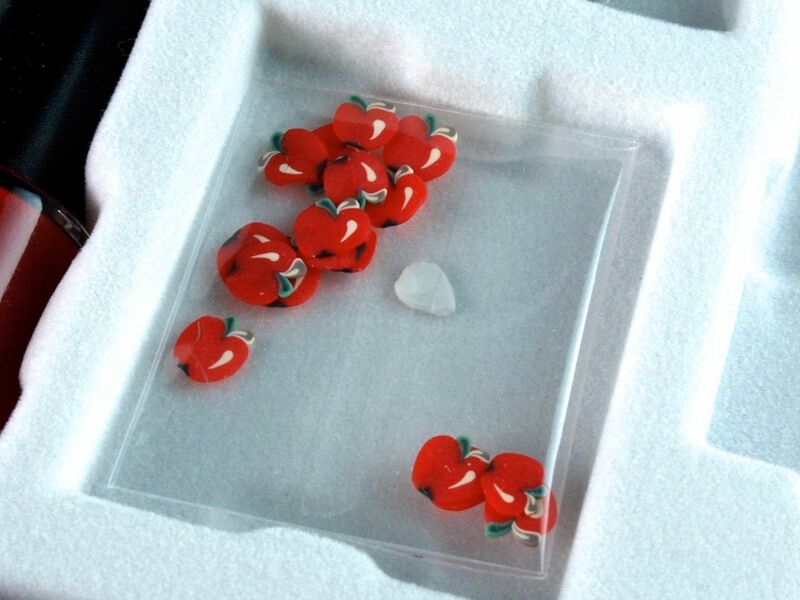 The 20 fimo apples are thin rubbery slices that can also be glued on the nail for fun. I wish the kit included some nail glue or even some clear top coat to be used with the nail art pieces. 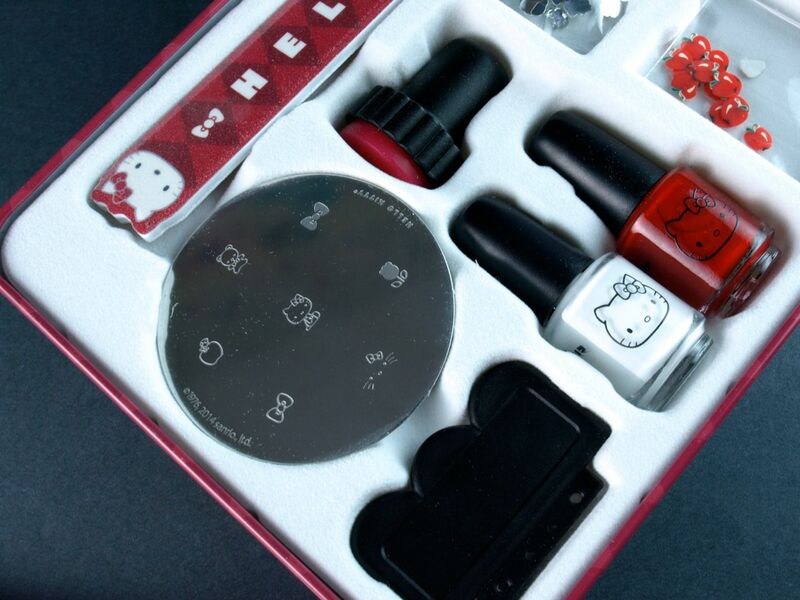 There are three sheets of Hello Kitty themed nail stickers and three two-piece Hello Kitty real nail polish strips in the kit. The nail strips are quite adorable, making me wish they had included three full sets as opposed to three two-piece sets. 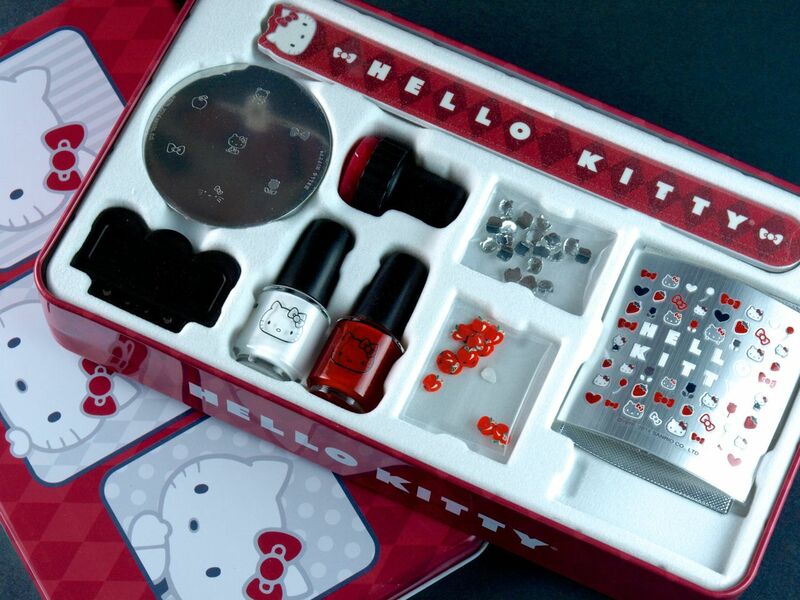 This is such an adorable set with a good variety of nail art elements for young girls and older Hello Kitty fans and nail art fanatics to play with. However, I think for $47 CAD, Hello Kitty could have definitely included more items in the set. For example, an additional full-image stamping plate, full sets of nail strips, nail glue, and clear top coat would all make great additions. Hello Kitty 40th Anniversary Holiday sets are available exclusively in stores and online at Sephora.